The day after my Shoreline Shuffle race I had some weird pain in my left calf. I thought for sure it was a stress fracture from pushing too hard on the trail. After some rest and applying R.I.C.E. for a few days it appears to have gone away. I ran 3 miles on the treadmill last night and had no pain at all. I'll give it another couple days of treadmill runs before heading back out on the road. No study has ever shown that running shoes do anything to reduce injuries or improve performance. Yet the whole multi-billion dollar industry business is based on the marketing lie that running is dangerous if you’re not wearing some kind of super-cushioned or motion-controlling footwear. It’s amazing the shoe companies get away with it. But one of them, finally, has been spanked: the FTC announced it was hitting Reebok with a $25 million fine for claiming its rocker-bottomed sneaks strengthen muscles. By that standard, what kind of substantiation can Asics provide for this claim about its Gel-Kayano 16? 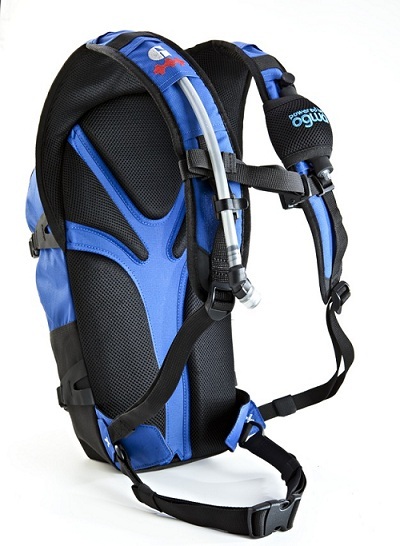 “Better protection from injury” — really? Now that it’s exploded the toning shoe swindle, it will be fascinating to see what happens if the FTC begins tearing into the video-gait analysis/pronation-must-be-controlled/every-runner-is-unique ripoff. 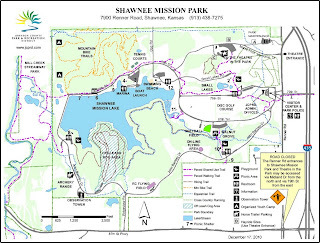 I found a map to the Shawnee Mission Park Trails so I had to post it. I am officially a "Master" I guess. Being 40+ I've known this for a while now but this passed weekend I claimed my first Masters Trophy at the Shoreline Shuffle. I was a surprised due to the amount of people in front of me but I guess they were all younger than I thought. It was a great race on a beautiful course. 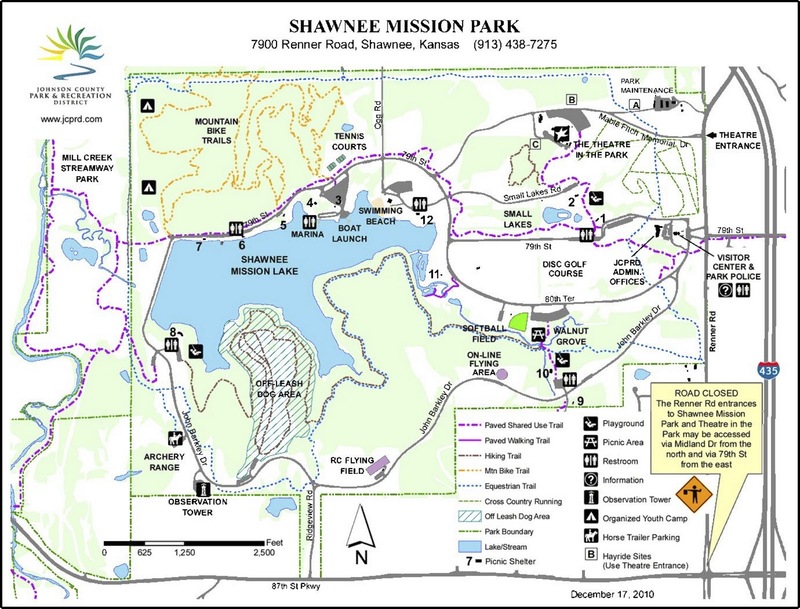 The route along the shoreline is terrific but can be a little hazardous. My time came in at 25:35 which was better than expected given the rocky terrain. I've run those trails many times but I have never timed myself on that route. I was certainly pleased. Oh, and the scones at the finish line were completely amazing. I managed to get first in my age group at the Red Dog 5k over the weekend. Of course I bolted right after the run and didn't get my award but I have emailed the race director and I'm hopeful I'll still be able to pick it up. Here are the results. Who knew the Oatmeal was an ultra-runner? Oats went for a run. Draw me a medal. Chris McDougall, of Born to Run fame, has 4 great running tips. Certainly the best I've seen. 4. Get Naked: The more studies that come about cushioned running shoes, the more overwhelming the evidence that they're a hindrance at best. Even Alberto Salazar, the great marathoner and Nike-sponsored coach, believes that a barefoot-style foot strike is the key to swift, efficient running. The best way to learn proper running form is to strip down to first principals: shuck your shoes and re-acquaint your feet with planet Earth. Once you've mastered barefoot-style form, you're free to wear any footwear you like.Patrick Sweeney wins marathons in Barefoot Ted's huaraches, while Emil Zatopektrained big miles in combat boots and did just dandy. Found a great new site this afternoon from a local running club. Nice 65 degree temperature and a light breeze. What's not to like? I even woke up 15 minutes early. It was karma's way of saying "do a longer run this morning". I think it was 75 when I finished a quick 3 mile run this morning. Possible severe storms this afternoon. We can only hope it will bring in some cooler air. Well, here is the first post for Bill's new running blog. See what I can create here.